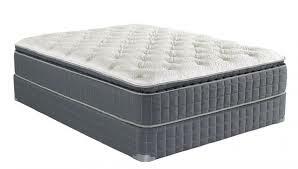 The Kinley Pillow Top Mattress by Corsicana, is perfect for a customer who is looking for a mattress with high quality features at an affordable price. Using the innerspring mattress technology combined with features like foam encased pocketed coils; this mattress can adjust, support and morph around the body. The Kinley Pillow Top would be most suited for people who prefer to sleep on their back or on their side. This product is available in twin, twinXL, full/standard, queen and king sizes. The Kinley Pillow Top comes with a 10 year full warranty.